Honda CBR250R Forum : Honda CBR 250 Forums > Welcome to CBR250.net > CBR250 New Member Introductions > New here!! Hey guys, I’ve just found this forum but I’ve had my little CBR for 4 years now.. unlike a lot of riders who found this great bike, I was not a new rider when I got her. 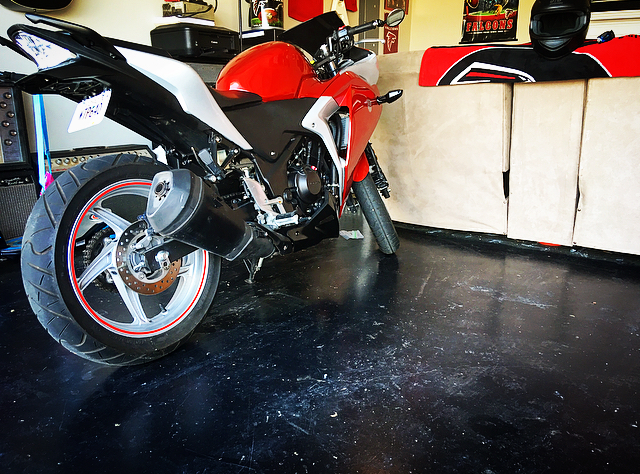 I’ve had a Buell S3, a CBR600RR and a few others in my 16 years of riding... I’d have to say the little CBR is by far one of the most fun. Lightweight, extremely good handling and I think a very responsive useful engine. It’s a bike that you can take close to it’s potential on some country roads and it’s a blast to do. Even my buddy who rides a new R1 loves the little CBR. Awesome bike!! Hi Justin and welcome to the forum.